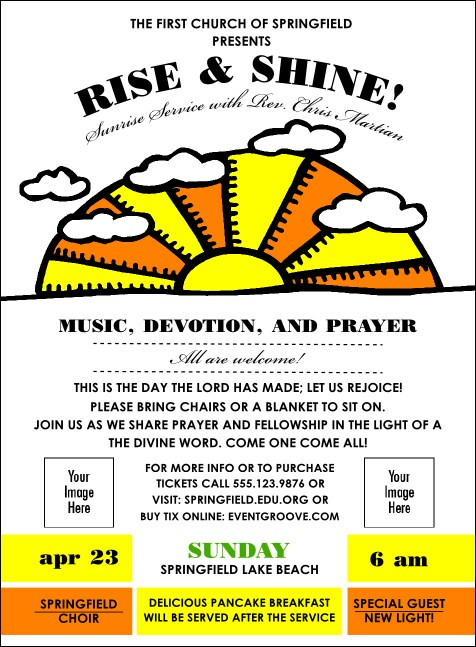 Gather the flock together for your next spiritual event with Sunrise Retro Invitations. Invite everyone to rejoice in the name of the Lord when you send out personalized Invitations that include a bright orange and yellow sunrise on a white background along with space to upload your very own images. Shine a guiding light on your next event with Invitations from TicketPrinting.com.